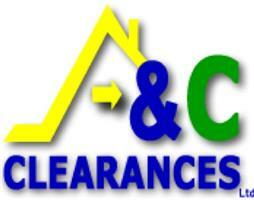 A & C Clearances Ltd - Removals/Storage, Rubbish/Waste/Clearance based in Lambeth, Greater London. A&C Clearances LTD is a family run business (Founded,15th October 2014) in the House-Flat/Garden/Garage/Loft/Cellar/Office/Warehouse/Shop/ Rubbish-Waste-Furniture Clearance, House/Office/Flat/Student/Storage/Warehouse/Shop removals & Same day Delivery/courier service sector plus more. We have 9 solid years of combined experience in all fields of service in which we cater to, and there's nothing we haven't experienced before and nothing is too big or too small.